What is the old adage? "Rules are made to be broken" Most of the time, rules are a good thing, like stopping at red lights, do unto others and so on. But, in the quilting world we do it differently. I promise the "quilt police" won't come after you, (however, if you are entering a quilt show, you might want to re-think your decisions). Where did you learn about quilting? Was it a quilt handed down from your grandmother? OK, maybe your grandma taught you to quilt. She probably started quilting before there were all the modern tools like rotary cutters (circa 1985), plastic rulers, printed patterns and quilt shops. What? They quilted before rotary cutters? Yes, my grandmother (Annie Scarlett) inspired me with her creativity. When I declared that I was going to make a quilt, she laughed and sent me a box full of teensy tiny pieces of feedsacks that were already cut and ready to make a Double Wedding Ring Quilt. OMG! Anyone who comes from sewing garments know that this is the rule. Always press your seams open. (They also sew 5/8" seams rather than 1/4" seams - if that tells you anything). I have been quilting since the late 70's (yes, last century) and no longer open the seams. I actually find that pressing to one side is actually stronger than a seam that is stressed when it is opened. If your stitches are not perfect you can actually see little gaps when the seams are pressed open. Forget that rule, press to one side. Note: one caveat - sometimes, pressing seams open helps reduce bulk - hopefully your pattern designer has figured this out and will let you know if it is a problem). Oh good grief. If you are using three matchy-match fabrics you might want the go whole hog and make it match. How boring - and expected. Might as well go to the department store and buy a comforter. The backs really do not have to match. One of the neat things about my grandmothers quilts is that you NEVER knew what was going to be on the back. My quilts are kinda the same way. The quilt to the right is as matchey as I get. This quilt show winner was all flannels. I did use a brown textured flannel for the back, and I guess it matches, although there is very little brown on the quilt top. The quilt judges loved it. 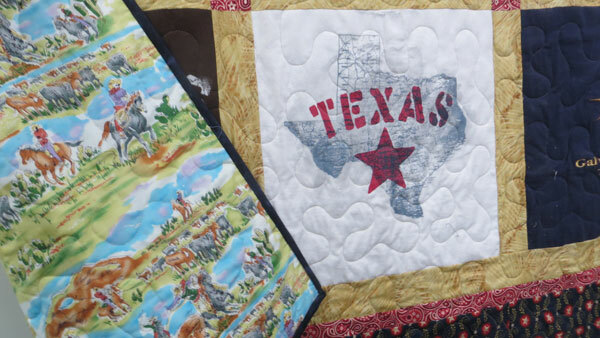 These next two quilts are my Texas T-Shirt models for the shop. One is about 12 years old (and washed many times), both still hang on the wall. Check out the backs. The only 'matchey' thing about either one is the theme. TEXAS! What more can I say? When my mom was teaching me garment sewing, anything that used binding was cut on the bias. When I first started quilting, it was drilled into my head that you MUST do bias binding. Guess what? After doing a couple of my own quilts with non-bias binding - and STILL winning ribbons at the quilt shows, I figured out that the judges couldn't tell the difference. Hmmmm.. I have made literally thousands of t-shirt quilts; all with non bias binding. 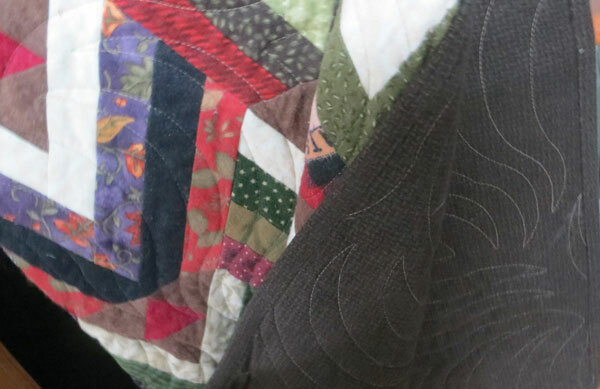 Do you know what I am continually replacing on vintage quilts? - You guessed it - the bias binding that our predecessors thought was required. I used to hand quilt every project that I did. You have to plan on about ONE QUILT a YEAR to hand quilt a bed sized quilt (if you are working full time at the corporate job). Don't know how long it takes if you don't work full time outside the home. I figure I did my share of hand quilted quilts. I love them, all my kids have at least one. In the early 2000's I figured out that life is too short to hand quilt every quilt I wanted to complete. Tried quilting on my DSM (domestic sewing machine - read Terminology for more quilting terms). Took some longarm quilting classes in 2001, and shortly after bought my first longarm quilting machine. Life has not been the same since then. Keep in mind that I was a repeat ribbon winner at quilt shows for my hand quilting. Now, looking at the difference between my hand quilting and the machine quilting that is produced on my longarm machine is different by magnitudes. No way! 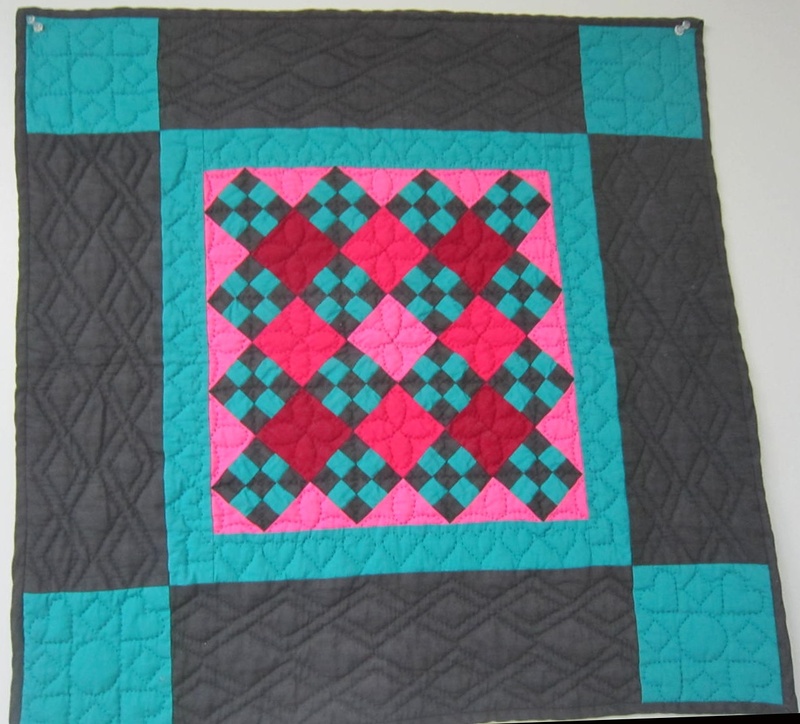 While a lot of the quilters today are over 50, there are so many new young quilters out there. 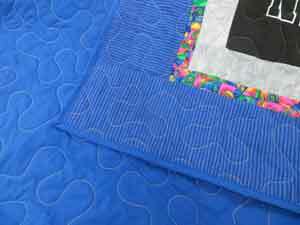 As a professional longarm quilter, I receive quilts from 'first-timers' all the time. Here is a portion of an email that I received this week - details removed to protect the newbie!! OMG, every one of the rules we just broke said MUST in it. In my humble opinion, anytime you see the word MUST in a rule, there is probably room to ignore it. Ask why they thought you MUST. In the 'old' days, there was probably a good reason. Today - not so much. So, while I don't suggest that you drive 85 mph in a 70 mph zone, there are exceptions to every rule. 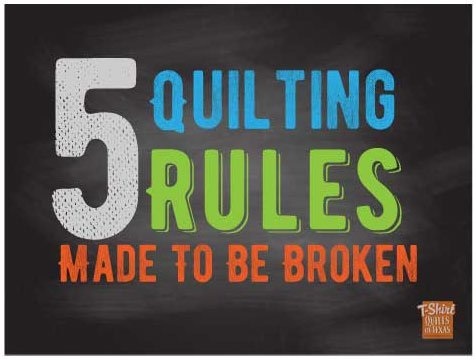 Just remember that any quilting rules are just guidelines. The rule was probably declared in order to help you produce the best version of your quilt that you can make. YOU are the quilter, it is YOUR quilt, and you can do it in whatever way floats your boat. (I give you permission). 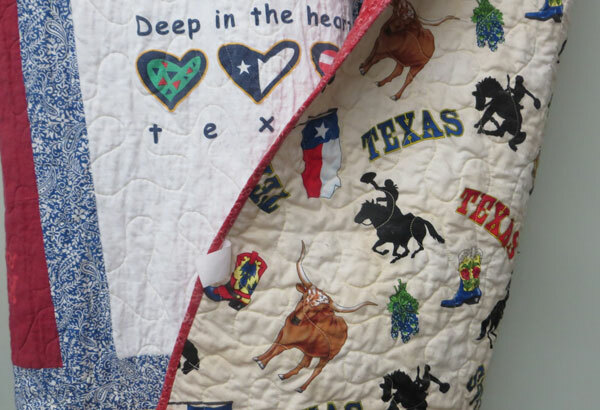 At Shadywood Quilts/T-Shirt Quilts of Texas, we have been providing professional machine quiting for nearly 20 years. We use a computerized quilting system that gives you the highest quality stitch and pleasing patterns across your quilt.